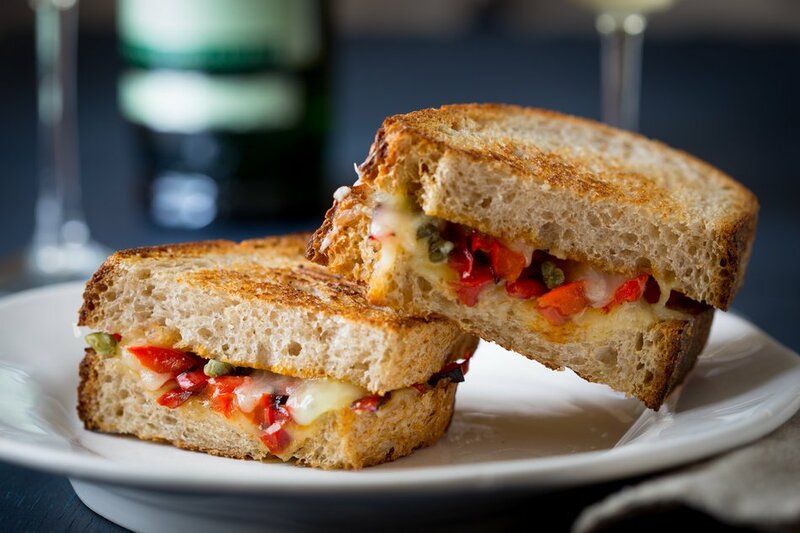 Traditional grilled cheese gets French and zesty in our Piperade and Seriously Sharp sandwich. 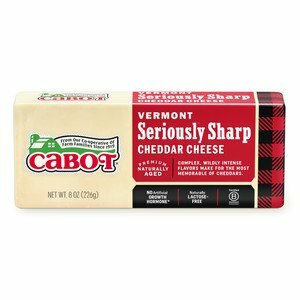 Grill hearty French bread with slices of Cabot Seriously Sharp Cheddar, layered with piperade, a sautéed pepper topping seasoned with some lemon zest and tangy capers. A fruity Pinot Blanc is an excellent accompaniment. HEAT 2 teaspoons oil in a large non-stick skillet over medium heat. Add garlic, and cook, stirring until the garlic is fragrant, but not browned 30 to 90 seconds. Add peppers, cover and cook, removing lid to stir until the peppers are very soft, 7 to 9 minutes. Remove from the heat, stir in capers and lemon zest. LAY bread slices on work surface. Divide cheese between two of the slices. Top with piperade and the remaining two slices of bread. CLEAN and dry the skillet. Add the remaining 1 teaspoon olive oil and butter to the skillet and heat over medium heat. 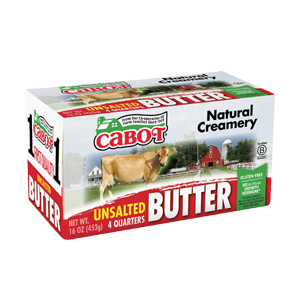 When butter is melted, arrange sandwiches in the skillet. Cook until browned on both sides, adjusting heat as necessary to prevent browning, 3 to 4 minutes per side.